.Last month leaders in Pancreatic Cancer (PC) research and clinical care convened in Glasgow, Scotland for the annual Pancreas 2016 Meeting. The theme of the meeting was “Precision Medicine” and buried in 550 years of history at Glasgow University it was a fitting setting to look back at where we have come from in this disease, and look forward to where we are going. 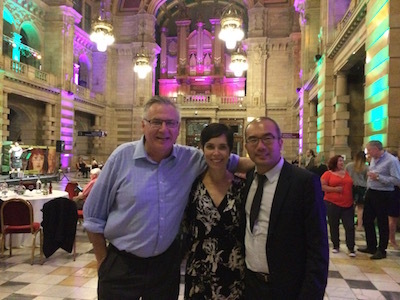 Last month the APGI represented Australian pancreatic cancer research and traveled to Scotland to attend an international pancreatic cancer meeting. 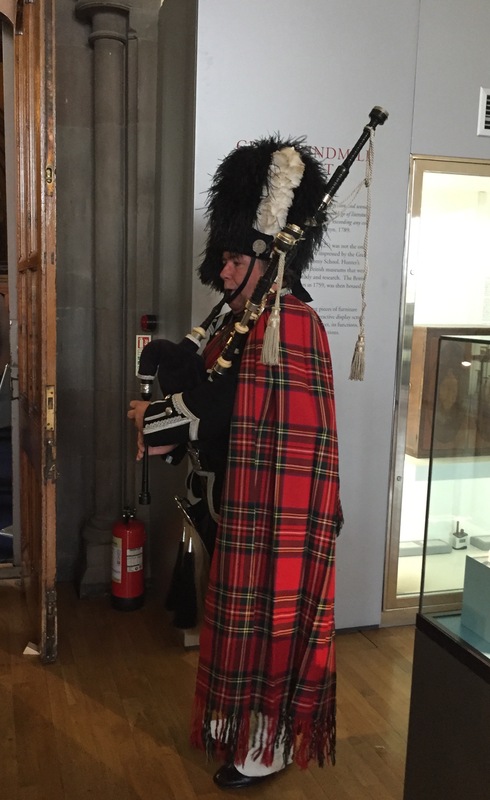 The theme of the meeting was “Precision Medicine” and buried in 550 years of history at Glasgow University it was a fitting setting to look back at where we have come from in this disease, and look forward to where we are going. The global pancreatic cancer community is definitely making headway. There were discussions on the challenges everyone has faced: heterogeneity of cancer, low purity samples, challenges with accessing tissue biopsies and poor clinical trial recruitment. But there was also new and exciting data presented, and international clinical trials in development on the horizon to look forward to. It was exciting to see data presented from the The Cancer Genome Atlas (TCGA)– a sister study to our own ICGC effort, and a group we’ve worked closely with over the last few years, sharing samples and data from our own efforts in order to contribute to global pancreatic cancer efforts. The TCGA also has the goal of characterizing its own set of pancreatic cacner genomes, and has had great success doing this across many common and rare cancers to date. Whist the TCGA had some technical difficulties early on in their pancreatic project, they now have 150 patients analysed across a variety of sequencing platforms. They have uncovered much of the known genetic events, confirming what our studies have uncovered. They presented interesting data on the KRAS gene– the genetic abnormality found in around 95% of pancreatic cancer patients. In the 5% or so of patients where they didn’t see the KRAS gene fault had other abnormalities in the same genetic pathway, suggesting that there may be another cause to be uncovered driving these types of cancers. With the TCGA data, we will now have over 600 pancreatic cancer genomes available for the research community to access. This is an amazing achievement for what is seen as a rare cancer. Participation in clinical trials has always been a challenge globally in pancreatic cancer. For example, rates of trial recruitment for most cancers is around 16%, but for pancreas cancer it is much lower, around 3% in the UK, 5% in the USA and Australia. There were calls to consider the design of future clinical trials that would produce results that are clinically meaningful for patients, and involve a strategy that allowed patients to move on from “failing” clinical trials and onto newer clinical trials (subject to eligibility), in order to advance our knowledge of how to best treat pancreatic cancer. Recently an American study by our friends at PanCan reported that in the last few years over 11,500 patients continued to be involved in “failing” clinical trials, and could have been re-diverted to other trials of new chemotherapy drugs at an earlier time. This data is staggering and presents to us an opportunity to band together in a new way of thinking about how we conduct clinical trials in pancreatic cancer. Pancreatic cancer is the only disease that is not only rising in incidence, but where death rates are rising as well. Pancreatic cancer is projected to surpass colorectal cancer around 2020 to become the second leading cause of cancer death. The medical advances that have changed the trajectory of the “big 4” cancer types: breast, prostate, colorectal, and to a lesser extent, lung, have yet to be realized in pancreatic cancer. This can only be hailed as an oncologic emergency. The path forward and priority for accelerating pancreatic cancer research included focusing on how we can make trials more effective for patients by using our wealth of genomic knowledge and selecting the right patients for a drug target. This is the premise of precision medicine. We need to work to increase participation in clinical trials by not just using the traditional model of trial recruitment of bringing the patient to the trial but by thinking a little different and bringing the trial to the patient. This means that more trials could operate at more centers to allow patients to be treated at home and not have to travel. We will begin a renewed focus on the normal germlines of patients, which are often overlooked when analysing Pancreatic Cancer genomes as a simple reference point, and what their contribution to cancer is. The pancreatic cancer community remains committed to collaborating on a global scale to maximize the outcomes of this research.